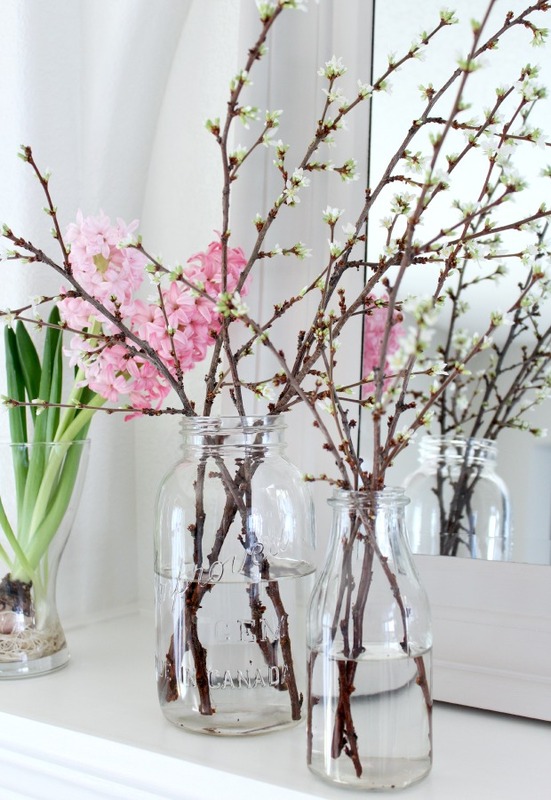 Forcing branches to bloom is an easy and inexpensive way to add a touch of spring to your space. Learn how! This one requires a little patience, but nothing compared to forcing spring bulbs. When forcing branches, you’ll start to see changes in days, not weeks. 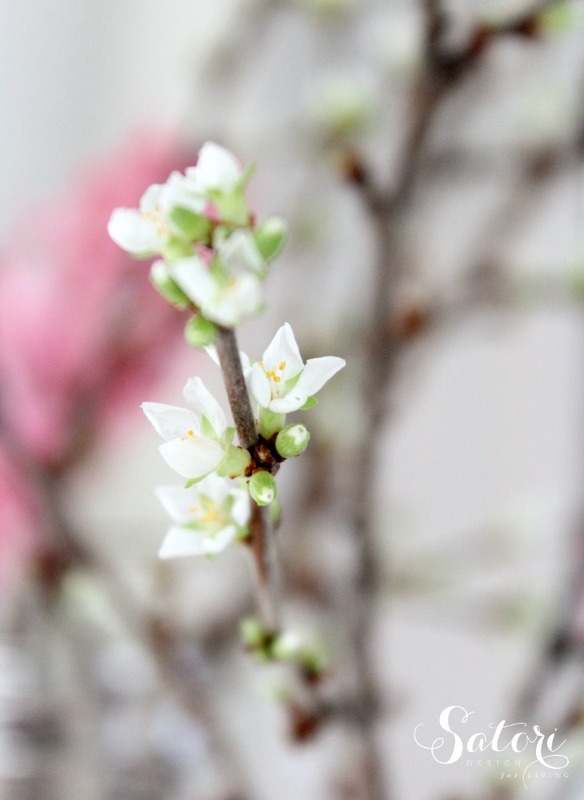 If you have a tree or shrub in your yard that flowers in the spring (cherry, crabapple, forsythia, lilac, dogwood, etc.) that’s all you’ll need. After at least 6 weeks of cold weather (no problem here! ), simply cut a handful of branches that have plump buds using clean sharp garden shears at a natural joint (close to the base of the trunk or where it intersects with another branch). Just make sure the branches aren’t essential to the form of your tree or shrub. Bring the branches inside, allow to warm up naturally, then re-cut the bases at a sharp angle under water. Tap the bottoms with a heavy object to spread open the wood to absorb more water. Arrange in a narrow jar, vase or bottle half-filled with clean water and a few drops of alcohol to prevent bacteria growth. Repeat every few days to keep the flowers lasting as long as possible. Place the branches out of direct sunlight (but still bright area) and you will likely start seeing blooms in as little as a week. It will take a bit longer if you cut them earlier in the season. I prefer to do it a month or so before it would naturally occur. Cooler temperatures will likely keep your forced branches looking their best for longer. Those of you who are fortunate enough to live in warmer climates are probably already seeing blooms outside. We’re still a month or so away depending on the weather, so it’s nice to get a little preview of what’s to come. Can’t wait! 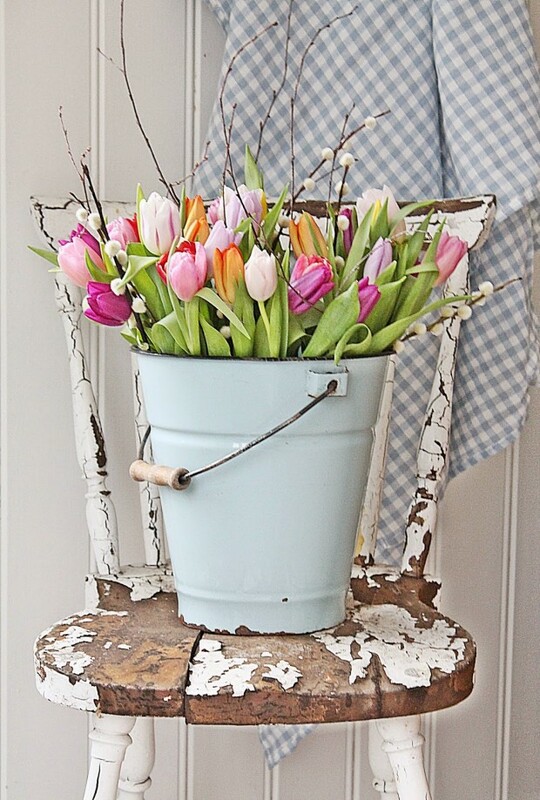 Check out these beautiful ideas for spring too, including this bucket of tulips from Vibeke Design. So fresh looking! It’s a beautiful season, isn’t it? 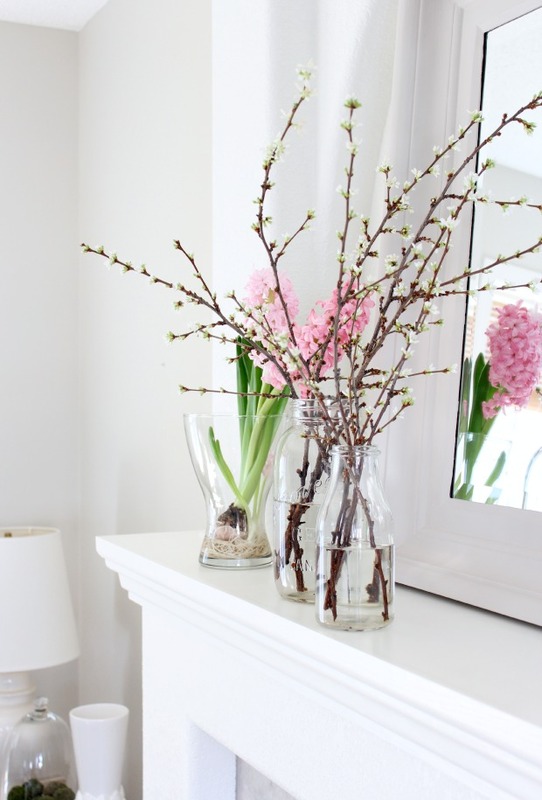 Other Early Spring Ideas to Try! So pretty, thanks for the reminder. I need bring some of my forsythia in!